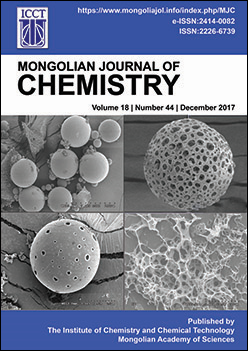 In this study, the adsorption of methylene blue dye was examined by using pyrolusite ore as a low-cost alternative adsorbent source. Pyrolusite, which contains mainly MnO2, is a manganese ore. The effects of the initial concentration of dye, contact time, initial pH of solution, adsorbent dosage, stirring speed of solution, and average particle size of adsorbent on the adsorption of methylene blue were studied. It was found that the percentage of the adsorbed dye increased with increasing the amount of pyrolusite. While the initial dye concentration, initial pH, contact time, stirring speed, particle size, and adsorbent dosage were 25 ppm, 6, 90 min, 250 rpm, 63 µm, and 12 g/l, respectively, the efficiency of dye adsorption on pyrolusite ore was 99%. The isotherm and kinetic studies relating to this adsorption process were also made. It was found that the equilibrium data followed the Langmuir isotherm model while the kinetic of process could be described by the pseudo-second order kinetic model.